The first vines were planted in Yakima Valley in 1863 and in 1983 it became the first AVA established in Washington State. Planting the vineyards on the hill slopes near the Cascade Mountains gives the vines the perfect angle for sunlight to take full advantage of Washington's long days and cool nights. Yakima is now a sub-appellation located in the larger Columbia Valley AVA, whose dry Rieslings are world renowned. 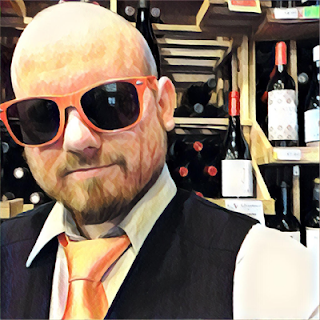 This Riesling is NOT SWEET! Let's make that clear right off the bat. It's quite dry, so sweet-wine-haters need not be afraid. You'll love this one. 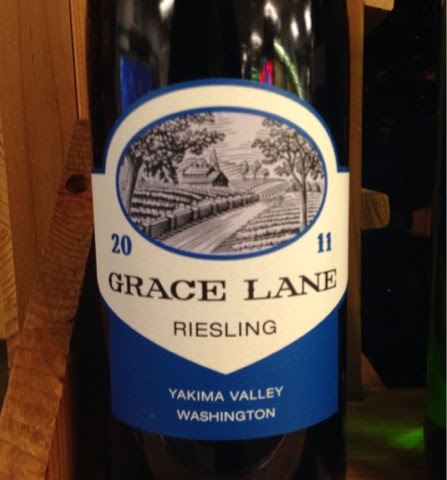 Other than its easy drinkability, one of my favorite things about quality Riesling is the unmistakable petrol aroma, and Grace Lane has plenty of that along with green apple and peach on the nose. It's got a smooth texture with a big, heavy body and bright acidity for a well-rounded mouth-feel. Flavors of orange, cantaloupe and more peach join together on the palate with a spicy, peppery finish. The quality vs price of this Riesling is just ridiculous. I'd even go as far as to say it's just silly. You're not going to find Riesling of this quality and character for under $10 like this one. I can tell this is going to be my summer favorite this year. It's the white that you want for whatever you happen to be grilling on your porch, especially when you're just hanging out and grilling it while schmoozing with family and friends.